Former Trump adviser Roger Stone makes his way to the E. Barrett Prettyman United States Court House on Thursday, February 21, 2019, in Washington, D.C.
A federal judge on Tuesday blasted Roger Stone over his new book that criticizes special counsel Robert Mueller, and demanded Stone explain his efforts to comply with a gag order that strictly bars him from bad-mouthing Mueller. Judge Amy Berman Jackson, in a court filing, wrote that there "is no question that the order prohibited and continues to prohibit the defendant from making any public statements, using any medium, concerning the investigation." "It does not matter when the defendant may have first formulated the opinions expressed, or when he first put them into words: he may no longer share his views on these particular subjects with the world," Jackson wrote about Stone, a longtime Republican operative and friend of President Donald Trump. Jackson rejected Stone's request that she "clarify" that her gag order on him does not apply to his new book. 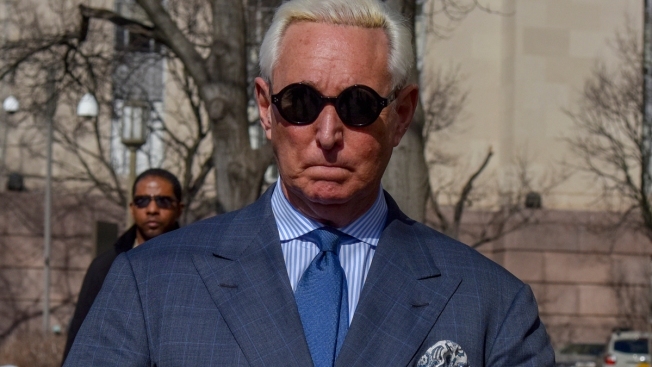 The judge also chastised Stone's lawyers for misrepresenting the status of the book, which they now admit is already on sale, despite having told the judge last Friday that its publication was "imminent." Trump associate Roger Stone arrested for allegedly lying in Mueller's investigation from CNBC. Jackson only recently had learned that Stone was on the verge of publishing the book, "The Myth of Russian Collusion," which takes shots at Mueller. The special counsel is probing Russian interference in the 2016 presidential election and possible collusion by the Trump campaign with that meddling. The judge's awareness of the book came only after her Feb. 21 order prohibiting Stone from making any comments that criticize Mueller or the case against him, where he is accused of lying to Congress and witness tampering. Jackson's gagging of Stone came after he posted an image on Instagram showing her fact next to the crosshair of a rifle's scope. Jackson noted last week that Stone's lawyers had not told her about the forthcoming book when she held the hearing Feb. 21 on the gag order. In the book, Stone writes: "I now find myself on Crooked Special Prosecutor Robert Mueller's hit list because I have advised Donald Trump for the past forty years. I am being targeted not because I committed a crime, but because the Deep State liberals want to silence me and pressure me to testify against my good friend." In her new order Tuesday, Jackson demanded that Stone's lawyers by next Monday file a status report in federal court in Washington, D.C., " detailing his efforts to come into compliance with the Court's rulings." She also wants Stone's lawyer to produce records related to his book deal and scheduled for release, the exact date the book first became available, when he learned the book had been printed, and other details about the tome. Neither Stone's lawyers nor a special counsel spokesman immediately responded to CNBC's request for comment.